Digging for Wisdom is Necessary. Shovels Are Optional. My boys and I just got back from Miracle Mountain Ranch's 2018 Father/Son Retreat. We had a great time at "Man Camp" where they shoot stuff, eat stuff, ride horses, and study our Bibles together. The folks at MMR do a wonderful job of putting a classy event each year. 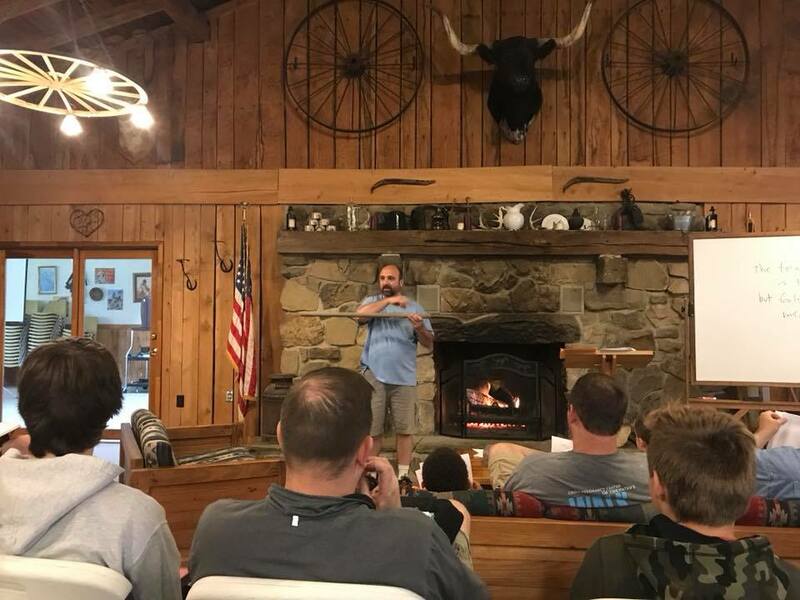 I had the privilege of speaking 3 times on "Digging for Wisdom in the Proverbs," and I showed the guys how I use the Proverbs each week to uncover treasures of wisdom in our Youth Boys' Class at Family Bible Night. I believe that Proverbs are written as they are as a divine gift, especially to fathers, to disciple their sons. I was encouraged to hear from several of the dads that they are going to begin studying Proverbs together with their sons after learning how this weekend. 1. 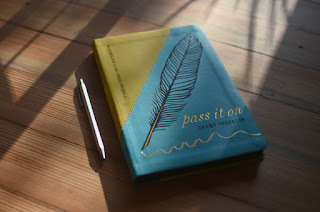 Pass It On: A Proverbs Journal for the Next Generation. This unique resource was created by my friend Champ Thornton for Dads to dig into the Proverbs themselves and then transfer what they've learned to their children. The introduction itself, "A Bird's-Eye View of the Proverbs" is worth the price of the book--and right now you can get it for free by downloading the samples at Westminster Bookstore!. 2. After Thornton, the next level book I'd recommend is Derek Kidner's commentary on Proverbs. Every time I teach on Proverbs, I consult Kidner's precise, concise, and incisive words. 3. I first learned how the Proverbs worked by taking a class from Ray Ortlund at Trinity Evangelical Divinity School. In his commentary, Dr. Ortlund gives a master class in both understanding and applying the message of the book. 4. 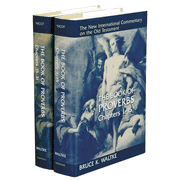 When I was writing Resisting Gossip, my constant companion at my right hand was Bruce Waltke's magisterial two volume commentary on the Proverbs. I probably quoted Dr. Waltke (one of the translators of the original NIV including the Proverbs) more than any other commentator for my doctoral project. As I told the guys this weekend, if your pastor doesn't have it already, then splurge and buy him volume one or volume two ... or both! 5. And if you are an audio learner, Dr. Waltke has recorded a series of lectures available for free at Biblical Training. This is top-shelf stuff. Ok. No excuses now. The resources are all there. Let's get digging. This weekend, I have the privilege of speaking at the Father/Son Retreat for Miracle Mountain Ranch on the subject of digging for wisdom. My goal is to help the boys and men to ransack the book of Proverbs for themselves. Pray for me! To prepare, I've been re-reading this excellent little handbook from Champ Thornton Pass It On: A Proverbs Journal for the Next Generation. A few months ago, I got to interview Champ about this book. It's full of some really good stuff. The opening chapter, "A Bird's Eye View of the Proverbs" is one of the best introductions I've ever read to this book in our Bibles. WTS Books has it up as a free downloadable sample chapter right now. Don't miss it! In Pass it On, Champ Thornton has created another unique resource for assisting Christian parents to extract the precious wisdom from the endless goldmine of the Book of Proverbs and impart its righteous riches to their children. I will be using it with my kids and urge others to dig in, too. A well-researched, well-written and thoroughly terrifying book. Jean Twenge understands my kids’ generation, and she’s good at explaining them. The iGen (or GenZ or Founders Generation or whatever name eventually sticks) is different from the Millennials you’ve heard so much about. These are the young people who haven’t just had the internet all of their lives–they’ve just about always had a powerful smartphone in their hands. And just as or maybe even more significantly, they have been super-protectively parented. For all of these features, there are many exceptions, of course. These are only generalities not particularities, but both the data points and anecdotal evidence seem to bear them out. (One of the things I found most interesting was the differences between Millennials and iGen young people. They are decidedly not the same.) Twenge tries hard to be objective and not judge some aspects of these young people’s behavior as “good” or “bad.” But she’s the mother of three iGen daughters, so she can’t help caring a lot, and it’s clear that she has her own opinion about right and wrong. And it’s in the realms of morality and reality that the book concerns me the most–the realms most directly addressed by Christianity. If we are going to reach this new generation, we will need to tailor our methods to their particular profile, problems, needs, and strengths. And speaking as a GenXer, it seems like a bewildering task. They seem like such strange creatures to me! I have four of them in my house–17, 16, 15, and 14. And while mine might buck a number of the trends (due to their particular circumstances), I see the patterns come true in some of their peers. For example, they don’t read books! “By 2015, one out of three high school seniors admitted they had not read any books for pleasure in the past year, three times as many as in 1976.” What to do?! Twenge isn’t interested in helping make disciples of Jesus even though she ironically has a concluding chapter titled, “Understanding–and Saving–iGen” so we’re going to need some fresh missiological thinking. Thankfully, there are some good and faithful minds who are doing just that. At the top of the list, I recommend this 5 part blog series by the EFCA’s Shane Stacey that takes the generational markers and provides help and hope for reaching iGen for Jesus Christ. And even more importantly, I believe Jesus deeply loves this generation and has promised to build His prevailing church in them, with them, and through them (Matthew 16:16-18). So let’s not expect them to be like us (or like any other generation), but that’s a good thing! Let’s let them be themselves and also minister to and with them for Jesus’ sake. View all my Goodread reviews. I'm so thankful to be in an association of churches that takes student ministry seriously. Instead of just having rah-rah youth rallies, we have something uniquely theological and deeply missional called Challenge. And instead of focusing on techniques for (and critiques of) youth ministry, we have thoughtful missiology for reaching the next generation. Last year, Shane Stacey, the national director of ReachStudents, wrote an excellent 5 part series on Generation Z and the world they inhabit. This is my kids' generation, and I keep coming back to Shane's articles to frame my thinking about reaching their peers for Christ. "Generation Z: The hand they’ve been dealt"
1. How Has the Recession Impacted Our Youth? 2. How Is Technology Shaping the Next Generation? 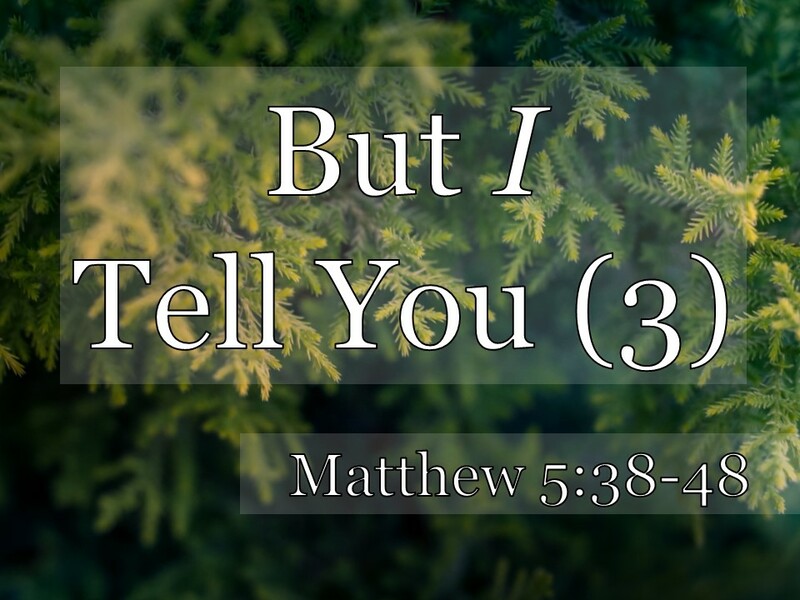 We are still in the Gospel of Matthew, and we’re still in Jesus’ Sermon on the Mount. 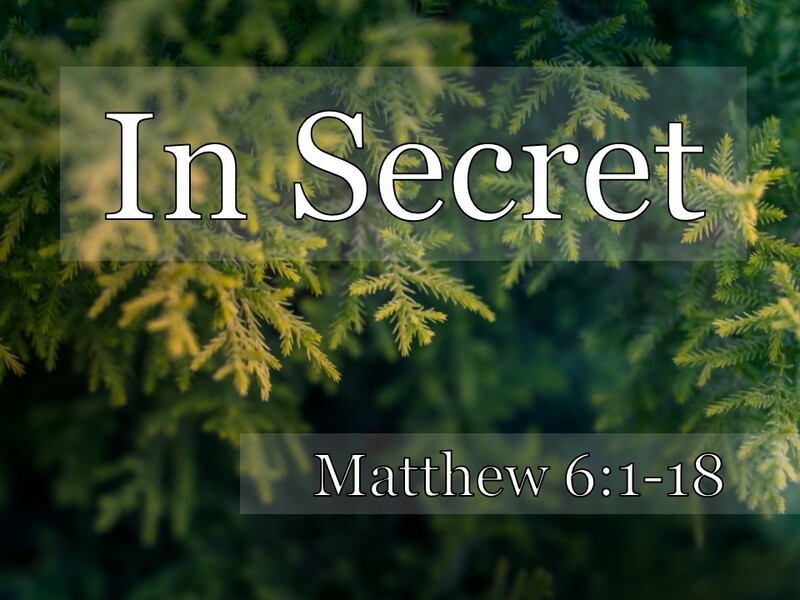 But today we are turning the corner from chapter 5 which had in it the Beatitudes and the “But I Tell You’s” into chapter 6. Our King is telling us how He wants us to live in His kingdom. He started us by telling us what kind of people He wants us to be. And if we live the good life that He lays out (no matter how upside-down it sounds to our ears), we will both flourish and bring glory to our Father in Heaven. And then He told us that He wants us to live out a greater righteousness than the scribes and the Pharisees, the religious leaders of the day. A greater righteousness. A righteousness that surpassed the righteousness of the scribes and the Pharisees. And in chapter 5, He gave us 6 examples of what that would look like. Six examples of how the scribes and the Pharisees had misunderstood and misapplied the teaching of the Torah and what we should do instead. Our Lord Jesus has come not to abolish the Law but to fulfill it and to give it the true Messianic meaning and application now that He has come. And our Lord has shown us that this is greater righteousness comes from the inside out. It’s not just upside-down from what seems normal to us, it’s also inside-out. And that we saw that that word “perfect” means “whole” or “complete.” It’s emphasizing not just perfection as in flawlessness but perfection as in wholeness. The same thing on the inside as on the outside. Not just the outside but the inside. The whole person. He’s the same on the inside as the outside. So, it’s not good enough for our Lord Jesus that we not murder. He doesn’t want us to be sinfully angry. It’s not good enough for our Lord that we keep from committing adultery. He wants us to not even lust. It’s not good enough for our Lord that we keep our promises when we use His name. He wants us to be trustworthy and faithful from the inside out. It’s not enough to just want justice for ourselves. He wants us to be generous even with those who don’t deserve it. He even wants us to love our enemies! It’s not enough to just love those who love us. We need to love those who hate us. That’s what our King requires. And now, He’s going to say even more about this greater righteousness. Specifically, He’s going to tell us how to practice our righteousness or to do our acts of righteousness. And by now we should know that He’s going to be driving towards our hearts. It’s not enough to just do our acts of righteousness on the outside. King Jesus will require us to do our acts of righteousness from the inside to the outside. Because He wants us to be whole. 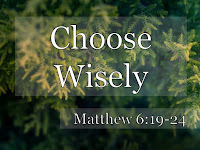 This morning, we’re going to study verses 1 through 18. That’s a bigger chunk than we have been taking for the last several messages, but I think it helps to see that this section all hangs together. In verse 1, Jesus introduces the problem and then in verses 2 through 18, He gives us three examples. And they all follow the same 4-part structure to make the same major point. Remember how the Beatitudes all had a structure and all of the But I Tell You’s had a structure? Well, these three examples all follow the same 4-part structure, as well. First, Jesus tell us what not to do which is to parade our acts of righteousness in front of others to be seen by them. That’s really important. It’s not that we can’t do acts of righteousness or acts of piety in front of others, but we aren’t allowed to do them for the purpose of human applause. It’s the heart of the thing. Then second, Jesus tells us that if someone does go and do that, then they will have already received their reward. That’s it. No more. Not so much that it isn’t public but that it is done for God and for God alone. And of course, there are some surprises and some twists and turns in there, too. Because Jesus always wants to keep our attention and to keep us focused on His coming Kingdom which is like nothing that we’ve ever seen or heard. All three of these examples are the classic acts of piety that a good Jew would perform. All of the scribes and the Pharisees did these three things all of the time. Jesus is not telling His disciples to stop doing any of these things. But He is saying that we should not do them like the Pharisees do. We must have a greater righteousness, one that comes from the inside-out. First, what not to do. He assumes that His followers are going to giving to the needy. Everybody did in that culture. It’s a good thing to do. Not just to give to the church, but to specifically help people with needs. The question isn’t whether or not to do it, but how to do it. Jesus says don’t blow the trumpet when you do. I don’t know if anybody actually blew a trumpet before they gave. I think that Jesus is just being funny. Because He knows that’s how some people do it. They roll up and they “toot their own horn” as they give their gift. Jesus calls them “hypocrites” which was a word that originally was used for actors who put on outward show. They play-acted a character and projected certain feelings and attitudes that they didn’t necessarily have themselves. It’s the attention. It’s the praise of men, if they get any. It’s the appearance of godliness. That’s all of the reward that they get. Then Jesus says what to do instead. That’s the third part. V.3 again. Now, our hands don’t “know” anything. Jesus is using a figure of speech, isn’t He? Don’t get impressed by yourself and your generosity. Don’t replay your gift over and over again in your mind. Just do your giving and get on with it. This doesn’t mean that you can’t keep a record of charitable giving for tax purposes or that you aren’t supposed to track giving in your budget so that you don’t know what you’ve done. I don’t think so. I think He’s just using colorful language to say that you shouldn’t get impressed with your own generosity. You not only keep it to yourself but you don’t dwell on it yourself. I know people who know every cent that they’ve ever given, and they are pretty proud of it. The fourth and last part is that promise. If you give in faith in secret, then you will be rewarded. Verse 4 again. First that we would see God as Father. We’re used to that, but really that’s new with Jesus. To see God as both divinely authoritative and relationally intimate is amazing. That’s what we mean by “Father” right? Both authority and intimacy perfectly bound up together in a Person who has given you life. We all have earthly Fathers who exhibit authority and intimacy and life-giving. Some of them have done it well and others poorly. But we all know what a Father is supposed to be. And Jesus says that God is that. God is our Father perfectly. Jesus calls God our Father ten times in these 18 verses! He knows what’s actually happened. He knows what the bank account actually said. He knows how big the gift actually was. And He knows what was going on in our hearts. And don’t miss that bit about reward. We are supposed to live for the reward. Sometimes we think that we shouldn’t care about rewards. But our Father loves to give rewards, and we will enjoy those rewards, so we ought to be motivated by them! I don’t know all of what those rewards are, but I know they’re good. They won’t get in the way of our enjoyment of Jesus. That’s where we have to be careful of rewards if we want them instead of Jesus. But these are rewards that come from Jesus and help us to enjoy Jesus. And who do they come to? They come to those who give in secret. Where only God knows what’s truly going on. These rewards come to those practice their righteousness for God alone. Now, this is not saying that Christians should never pray in public. Jesus prayed in public. His disciples all prayed in public. We’ve been praying in public today. But He is looking at our hearts, isn’t He? Don’t pray to be seen by men. What is your heart in prayer? That’s why Jesus says that we have to get alone and pray there. Where nobody knows what you’re praying or how you’re praying or how long you’re praying...except your heavenly Father! Because that will show if you are real. If there is no one to impress. Do pray alone with God? Or do you only pray here or in prayer meeting or at the dinner table or in front of your spouse or your girlfriend or boyfriend or only in front of your pastor? 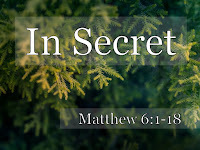 Do you pray in secret? Because what you are with God when you are alone is what you are with God. It’s okay to pray in public. It’s okay to pray with people. We’re supposed to pray with others! But that needs to come from what is inside and not be a show. But Jesus says that we need to keep it real. So on top of not praying ostentatiously for the attention of others, we’re also not supposed to pray mindlessly to try to get God’s attention either. Prayer is not magic. It doesn’t work more if you pray more. Prayer is not magical like figure out the right words to use as an incantation and then repeat them over and over again until you’ve talked God into something. God will not be used. Now, this doesn’t mean that we can’t pray long or hard or never repeat ourselves. Jesus prayed long. Jesus prayed hard. And Jesus repeated Himself. But prayer is not magic and God is not a genie in a bottle. We don’t make God do things we want by rubbing His lamp and saying, “Abracadabra” over and over again. Or any other prayer over and over again. No matter how good the prayer. God already knows what we need before we ask. We aren’t filling Him in even as we ask. He wants us to ask! But He doesn’t want us to babble. That’s not what our prayers should sound like. Does that sound familiar? I hope so. We call that the Lord’s prayer. And it’s at the center of the Sermon on the Mount. It’s a Model Prayer. It’s not that we are supposed to pray these particular words over and over again. That’s exactly the opposite of what Jesus just said. God as Father, what a concept! You know that’s only possible if you have trusted Jesus as your Savior. The only people who can pray this prayer and truly mean it are those whom God is their Father through faith in His Son. And notice that it’s not just “My Father,” it’s “Our Father.” This is a model prayer for the Church, for all Christians together. See, we are supposed to pray with one another! And the first half of the prayer is about God’s glory. His name, His kingdom, His will. How often we forget to pray for those things. But Jesus puts them first. Holy and honored and reverenced be your name. Your kingdom come. It’s not here yet in its fullness, but we want it. Your will be done, fast and full like it’s done in heaven. And the second half of the prayer is about our good. God’s glory and our good. Give us what we need to today. Like manna in the wilderness. Give us what we really need down deep, which is forgiveness. Give us what we need to stay out of sin and snatched away from Satan. Moms, let me give you a piece of counsel that probably most of you already do. Pray this prayer for your children. I’ve been doing that recently with my boys when I pray for them at night. Most nights, Heather prays for Robin right before bed. I pray for my boys right before bed. I’ve begun praying this for them. Our Father in heaven, may your name be holy in my boys’ lives. May your kingdom come in their lives. May they do your will like it’s done in heaven. Please give them their daily bread. Please forgive their sin debts as they forgive those who sin against them. Please led them through and away from their temptations and deliver them from the evil one. Moms, make that your prayer for your kids. And don’t stop until you die. That’s not a way of earning your forgiveness. That’s not how it works. That’s not what Jesus teaches elsewhere. But it is the same thing Jesus teaches elsewhere. We’re going to come up to this kind of teachings again in chapter 18. The point is that forgiven people are forgivers. And if you are a forgiver then you aren’t a forgiven. The two always go together. So don’t go asking for forgiveness if you aren’t willing to forgive others. That’s just putting on a show. And Jesus wants us to be whole from the inside out. Let me ask some diagnostic questions to apply this to our lives today. 1. AM I TRYING TO IMPRESS PEOPLE WITH MY RIGHTEOUSNESS? If so, how? In what ways? I think a lot of people want to live out their Christianity on social media. But they just doing it for the “likes” and “shares.” Right? Just doing it for the re-tweets and the “favorite” button. Ask yourself am I doing this to get the applause of people? Then that’s all you’re going to get. There’s this thing on social media called “The HumbleBrag” have you heard of it? And if you are, that’s fine to say. But ask yourself why you are saying it. Why are you telling people? Are you just Faceboasting or are you truly giving the glory to God? Am I trying to impress people with my righteousness? #2. AM I LIVING OUT MY RIGHTEOUSNESS BEFORE GOD ALONE? Am I doing this in secret? It’s okay to do it before others, too. The only way you know it’s real is if you don’t get credit for it somewhere else. #3.WHAT CHANGES DO I NEED TO MAKE IN MY ACTS OF RIGHTEOUSNESS? What changes do I need to make in my giving, my praying, my fasting and whatever else I do to live out my Christianity? And if you can’t think of any changes you need to make, you’re doing it wrong. How about with prayer in particular. Are using the model that Jesus gave us? Are you praying for God’s glory and for your good? Are you forgiving those who have sinned against you? Because Jesus wants us to be perfect, to be whole, to be the same on the inside as on outside. And that requires change. That requires repentance. To be perfect means to be changed from the inside-out and to be made new. To live out a greater righteousness than the scribes and the Pharisees. A real righteousness that is the same, not just in public, but in secret. And when it is...your Father, who sees what is done in secret, will reward you. For my birthday this year, my family bought me a copy of each of the Felse Family Investigations, and I’m reading through them again in order. What a delight! Reading this masterpiece for probably the fourth time, I’m amazed that Ellis Peters (nom de plume of Edith Pargeter) was seemingly able to create it out of whole cloth. It’s a stunning masterpiece–so hard to believe it was the first of this incredible series. I know that EP had written other good mysteries before this to perfect her craft, but you don’t expect the first in a series to have everything–fascinating characters, unsolvable twisty mystery plot (yet all the clues are there), thoughtful dialogue, hauntingly beautiful English setting–all sprung fully formed like Athena from Zeus’ head. I wouldn’t want anything changed, and even though I already know what’s going to happen, I can’t wait to read what George, Bunty, and Dominic are going see, say, and do next. We took a break last week to hear from Pastor Peter Bors about Apex missions and our calling to have beautiful feet as we’re sent out with the gospel of Jesus Christ. 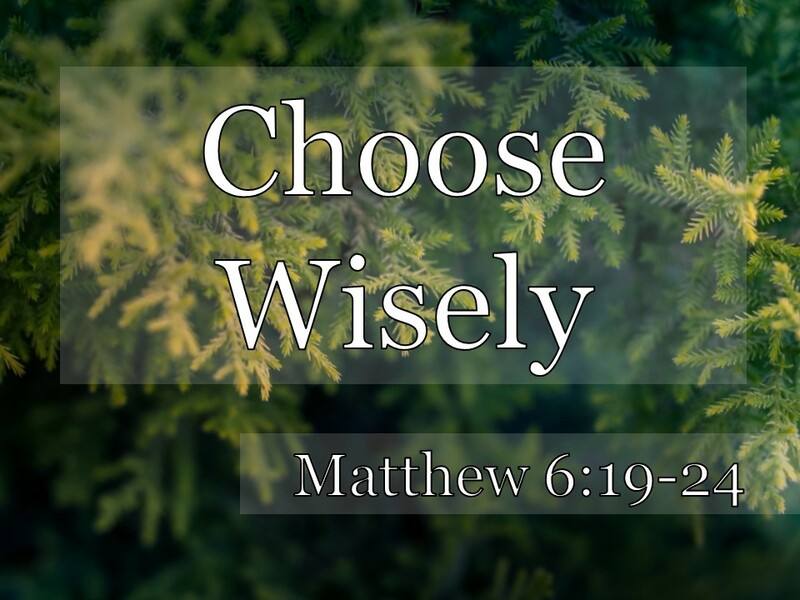 But today we return to following Jesus in the Gospel of Matthew and specifically in Jesus’ Sermon on the Mount. Do you remember what we’ve learned so far? Jesus is teaching with extraordinary authority. He has gone up on a mountainside and has begun rocking the world of His listeners by teaching them about the kingdom of heaven. We’ve said that Jesus is turning our world upside down. Because He’s teaching us what God truly values and what God truly wants from us. So really, He’s turning our upside-down world right-side up. But it sounds strange to us. For example. What is the good life? What does it mean to flourish? According to Jesus the flourishing are those who are needy, sad, lowly, unsatisfied, and even persecuted. And yet they change the world by living as salt and light and bringing glory to their Father in Heaven. And now Jesus is teaching us how to live out a righteousness that is greater than the Pharisees and the teachers of the Law. Jesus says that He has not come to abolish the Law but to what? To fulfill it. Every jot and tittle. Every last word. Jesus says that He has come not just as the ultimate interpreter of the Law. Which He is. A New Moses. But He has come as the ultimate fulfillment of the Law. He is the whole point of the Law. He is the goal of the Law. Where the Law has always been headed. And now Jesus calls His followers to live out a greater righteousness than the righteousness that the Jewish religious leaders were living out before them. And He has given us 6 examples of that. Six illustrations of both how He fulfills the Old Testament and how He wants us to live out a greater righteousness. And I promise that next week, I’ll come up with a fresh title. But this one is just “But I Tell You (3)"
The sequel to the sequel! 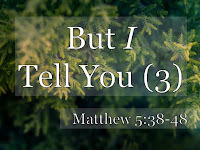 The last in this trilogy of sermons walking through the “But I Tell Yous” of Matthew 5:21-48. The Greek is “ego de lego.” And the word “Ego” is the I. Six times He says it. Now, do you remember the pattern? In the first two messages we looked at the first four teachings. And they basically each have three parts to them. Do you remember what they are? First, Jesus quotes from the Torah. Then, He gives the authoritative explanation of that quotation with all of its Messianic meaning. And in that interpretation, He explodes the myths about the popular interpretations that these people had always heard and believed. What they had been taught often erroneously. Jesus corrects those and sets everything straight. And really, He’s picking a fight with the Pharisees over each one. And then third and lastly, Jesus gives a practical application of this teaching to daily life which is really an antidote to whatever the problem is He’s addressing. He quotes from the Law. He gives the Messianic meaning. And then He gives a practical application to daily life. What it looks like to live out this greater righteousness in real life. And He does it with a twist. Always with a twist. He keeps us on our toes and a little off balance to send us into a new direction. And He’s always driving at our hearts. Right? Have you seen that each week? Jesus turns us right-side up by changing us from the inside-out. And so that our insides and our outsides match. They had some of the outside but they were missing the inside, which is the greater point! And they are very closely connected to one another. So far Jesus has told us to repent our sinful anger as quick as we can, to resolve our conflicts as quick as we can, to do whatever it takes to defeat sexual sin, to stay faithful to our spouses if we have them, and to keep all of our promises. You can see how focused He is on our relationships. Just because He’s looking at the heart, doesn’t mean that it stays in the heart. The way Jesus wants our hearts to be will inevitably affect our relationships with others...including our enemies. Our opponents, our adversaries. The people who are against us. In these last two “But I Tell Yous” Jesus cranks it up to 11. This is how Jesus wants us to be. You’ll notice that they follow the same pattern. 1-2-3. Let’s look at the first one. Verse 38 has part one. Where is that from? Is that from the Bible? Yes, it is. That’s actually taught in at least 3 books in the first 5 books of the Bible, the Torah. Exodus 21:24, Leviticus 24:19&20, and Deuteronomy 19:21. And a form of it appears in other ancient law codes like the Code of Hammurabi (though in that law code it only applied to social equals, those in the same class of society). And is that a good thing or a bad thing? It sure was a good thing! It communicated justice commensurate with the offense. This kind of law presented a line drawn in the sand that prohibited escalation and blood feuds. You know if someone from my family knocked out your tooth, you didn’t get to knock all of the teeth out of my whole family’s mouths. And we didn’t have to answer with breaking all of your kneecaps. Which you then answered with...you get the idea. And it was supposed to be administered by the judges of Israel. This was not for establishing a personal vendetta and carried out with a vengeance. But that’s exactly what they had done with it. They had used these words to justify vindictiveness. And it was all perfectly legal. Except that it wasn’t perfect. And it wasn’t what the Law was ever intending to do. Do you see how the Pharisees thought that the Law was easy here to follow? Was that what God’s Law was driving at? The Messiah, the whole Point of the Law, has arrived, and He says to not retaliate. To not resist. To not fight ‘em and get yours back. #1. GIVE TO YOUR TAKERS. That’s a surprise, isn’t it? You know that there are givers and there are takers in this world? Well, Jesus says that you and I are supposed to be givers. That’s because we’re upside down. And it’s also because it’s not the whole picture. I don’t think that Jesus means that we ought to neglect seeking justice. I don’t think He’s saying that there never is a time to resist someone who is evil. Jesus resists evil people Himself. Paul resisted Peter (same word) to his face in the book of Galatians and that was a good thing at that point. Just like when He said in verse 34 that we shouldn’t take an oath if we’re going to do it that way but He really wasn’t forbidding all oaths, I think the same thing is happening here. Jesus is going after our hearts. And the kind of hearts that He wants us to have are generous ones. Hearts that go above and beyond what is just and fair. Our impulse even when we’re wronged should be generosity. And then He gives four illustrations. This is the third part where He gives practical application. Jesus gives them 4 illustrations of this principle of super generosity. Now, that’s not a fight. That’s an insult. Probably a superior giving a subordinate a backhanded cuff. Right hand to right cheek. Probably legal but very shaming. How do you feel like responding? That’s what we feel like doing! He probably won’t know what to do with it! Be the bigger person. Don’t descend to their level. Do you see how this takes a strong person, strong on the inside to do? This isn’t saying to be a doormat and just put your head down and let people abuse you. This isn’t saying that at all. This is saying where you could retaliate in kind, go out of your way to be generous. You owe him money. And he wants to take the clothes off your back. Go ahead and give ‘em all your clothes! I don’t think he’s being literal here. He’s using hyperbole and humor, but He’s really serious in His point. Go beyond what you have to do. Yeah, so this guy is a taker. So what? A Roman soldier. The occupying force. They could commandeer a Jew to be a pack mule for a mile. Don’t stand on your rights. Don’t be spiteful and bitter but helpful. Kids, somebody grabs your toy out of you hand. Find the matching set and give it to them. Overcome evil with good! Even if they don’t deserve it? Even if you don’t think you’ll get it back? Can you afford it? Go ahead. Even if they are your enemy? Now, I know this raises all kinds of questions. I was up late last night writing this message because I kept asking all of those questions all day long. And Christians have debated how this plays out for two thousand years. Some have taken Jesus’ words very literally. And that has born some really good fruit. And also created some difficult situations. I don’t think that we’re supposed to use these as a new law to follow as if we can give just one more cheek and then insult back, or one set of clothes and then say no more, or one more mile but never two, or always always give to something to taker. These aren’t absolutes but a direction. Jesus is pointing us in a direction. He is aimed at our hearts. And instead of having hearts that are bitter and angry and vengeful and bent on getting our vindication, Jesus wants us to have super-generous hearts that go above and beyond what is necessary. Because that’s the kind of heart He has! So this isn’t saying that we can’t take evasive or defensive action. This isn’t calling anyone to submit to physical abuse. This isn’t saying that we don’t get the authorities involved if there is threat or a crime. This isn’t saying that we don’t exercise discernment in whom we would give gifts or loans to. Jesus doesn’t just do whatever anybody asks. He knows how to say, “No.” And Paul told the church to not just give money to people who wouldn’t work. Jesus isn't saying any of that. But don’t use those qualifications as loopholes to get out of obeying Jesus. Don’t be a Pharisee now with Jesus’ teachings either! Jesus wants us to be super generous. Even to people who don’t deserve it. He wants us to trust in God’s justice and not go grab justice on our own. I had two fears in preaching this passage. One is that some of you would feel convicted when you shouldn’t. And the other is that some of you wouldn’t feel convicted when you should. What is your heart saying today? I don’t want to do it wrong. I don’t want to give to someone in a way that would be bad for them. And I do want justice! I do want things to be as they should be. I want things to be made right again. And what has been taken from me hurts. Truly and rightly it hurts. And I want to be gracious. Because that’s how Jesus is. And I want to love...my enemy.” V.43 Last one. Where is that in your Bible? Well, “Love your neighbor” is Leviticus 19:18. But where does it say, “Hate your enemy?” Where is that command? But it’s not a command in the Bible. They had added that one. “Love your neighbor [only! ]” they assumed. Now, of course, they didn’t really love their neighbors, did they? It’s not good enough to just coexist. It’s certainly not good enough to just hate those hate you. But it’s also not good enough to just coexist with them. You and I are called to love them. To love those who hate us. I think that’s the hardest thing Jesus asks us to do. Ethically. He’s saved the hardest one for last. We are called to love our enemies, our opponents, our adversaries. Those who are out to get us. Now, that doesn’t mean that we will always like them. In fact, it doesn’t mean that we will always act the same way towards all of them at all times. We are still supposed to be wary of our enemies! We are to be shrewd as serpents around them. But also harmless as doves. We are called to wholeheartedly seek the good of those who want bad for us. That’s what it means to love someone. It means to be for them. To actively seek what’s best for them. That doesn’t mean to always give them what they want. But it does mean to seek what’s best for them. To do 1 Corinthians 13 to them. Even if they don’t do it to you! I love it that He says, “HIS sun.” The sun belongs to God! And in this time, while He’s being patient with us, He causes it to shine on the evil as well as the good. Same thing with His lifegiving rain. We call that common grace. God is loving in many ways even to those who are not His children. He’s show us the way every day. See how He’s going for the greater righteousness? He’s telling the Pharisees that their righteousness is at the same level as the most notorious sinners in their town. And Jesus is calling His followers to love more. To love deeper. To love those who hate them. And not just in words, but in actions. Like prayer and greetings and a whole host of other things. Who are your enemies and are you loving them appropriately? Let me apply this to politics today. Some of you think that President Trump is an enemy. He is against you and you are against Him. I’ve read your social media. Others of you think that the Democrats are your enemies. The word “liberal” is a bad word to you. You are against them and they are against you. I’ve read your social media. And both kinds of you are in our congregation, and I’m glad. I love that the church of Jesus Christ can transcend human politics! I’m not going to argue with either of you today. About who is the true enemy. If either. And I’m not going to try to get either of you to politically support the other. I’m just going to ask if you are praying for your enemy. Whomever you consider them to be. They might hate us, but we Christians do not have the option of hating back. We are called to love our haters. And that goes way beyond politics. In goes into every area of life. Who are you enemies and are you praying for them? The Lord has set the standard for us. And it is perfection. #3. BE PERFECT LIKE YOUR FATHER. He’s driving at that inside-out thing again. Jesus wants us to be the same on the inside as the outside. Not like the Pharisees. So much so that it spills out to our outsides and to all of our relationships. By looking at the Father. Our heavenly Father. What a phrase! And by looking at Jesus Himself. Because He lived all of this out perfectly. Jesus was struck on the cheek. And so much more. Jesus had his clothes taken from Him. Jesus was forced to carry something for the Romans. Jesus was asked to give something to those who didn’t deserve it. Jesus had enemies. O, did they hate Him! But what did He do back? He practiced what He preached in His Sermon the Mount. If you want to know how to love your enemies, look no further than your own Lord.